Following on from the article on Sleep Paralysis at Jourdemayne, here is the section for comments and recollections. I grew up in Southall. It was OK: not much wrong, not much right. I remember listening to a chocolate advert’s jangling soundtrack which proposed we were in the ‘sophisticated 70s’. I wondered how we would remember it in retrospect, and came up with the perfect word: “grey”. I know that seems strange of an era characterised by Marc Bolan, Bowie and Slade. But the decade went out with a bang. In 1979 the far-right organisation The National Front exercised their democratic right to hold a St George’s Day meeting … in Southall. With the area housing one of the largest Asian populations on the country it was clear and deliberate provocation. The special needs teacher Blair Peach was murdered a short distance from the town centre where police, white racists and young Asian men clashed. As a thirteen year-old, I was very intimidated by the sight of shops barricading themselves in anticipation. There was an eerie silence, completely out of place during the day. No people, no dogs, no cars, no life at all, except that behind twitching curtains. Of course, it was hardly the last riot of the era. There was Handsworth, Brixton … Toxteth happened half a block from my cowering grandparents. I started to pick up how serious things were getting last Monday via Twitter. We switched on the TV and were astonished. And at around midnight, the news started to come in that people were rioting in Ealing. Ealing! By then, it had been an hour or so since our neighbour’s car had been turned on its side and left in the road. Our neighbours called the police and were in favour of leaving the car in situ, for evidence. But Mr J is a great believer in the ‘broken window theory’ and has plenty of experience turning cars back the right way up again to boot. So with our other neighbour and two groups of young Asian men who appear to have been patrolling the area and who stopped to help us, the car was returned to its normal orientation. I directed the traffic around the obstruction but, frankly, anyone who can’t see a medium-sized group of men turning a red car over in a well-lit street should probably have their driving licence suspended pending a trip to Specsavers. The damaged car was put onto our driveway to discourage further mischief and was picked up within the hour by a tow truck arranged by next-door’s insurance – good service! The driver had come via Ealing Common and had had to run a red light to avoid becoming mired in a group of what he estimated at around two hundred fractious people who he felt would have over-run him had he slowed down and stopped. 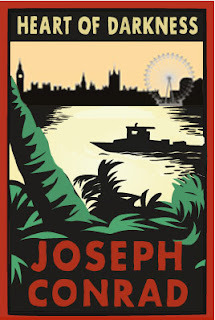 The Ealing bit was where it all started to go a bit strange for me. While it’s not quite the Elysian suburb with free-running Ambrosia that the media sometimes implied, it does have high property values and not much social housing in the centre. The disaffected underclass would have to bus in, unlike with parts of Islington, Westminster and Stoke Newington (where I have also lived). The next day, I saw people I recognised being interviewed on the TV. The indignant and traumatised licensee of a bar I used to frequent described how she hid in the kitchen with her sons while people looted her alcohol and till. I think the moment her bar was hit may be caught here. And here is a parallel street where looters tried to break into a Bang & Olufsen shop. Mr J and I stayed up ‘til about 3, by which time it had been reported that an electrical appliance shop in West Ealing had been targeted too. When we thought it unlikely that anybody else would turn over any more cars outside the house, we went to sleep. The next day, the streets were heavy with police. Friendly police. But anyone under the impression that they may get another night of free licence would have been emphatically disabused. Although an officer I spoke to said he was worried that looters may target businesses in Southall, I thought it one of the areas least likely to be surrendered. As somebody put it on Twitter: “Turkish and Asian groups have stood up to & chased off rioters. Bloody immigrants. Coming over here, defending our boroughs & communities.” This referred to Turkish and Kurdish shopkeepers who protected their property in parts of north London. This is what looters would have faced in Southall. Plus, as I’ve mentioned, we were assisted by what I’m sure were groups of young Asian men out on patrol. It’s not that I haven’t seen riots in my lifetime, it’s not that they haven’t been very close by, it’s not that I haven’t been on demonstrations that got scary, and it’s definitely not that I don’t recognise the very serious issues that our poorest neighbours face. I’ve written about it here. In addition to that, I think we all recognise that the young are being hit disproportionately in this recession. The uneducated young have very few unskilled jobs beckoning and the educated young can look forward to a few more certificates and a lot more debt before a similar (though probably ultimately, less precarious) fate. Basically, there aren’t very many young people who occupy the intersections in the Venn diagram of wages, affordability of debt and affordability of housing. But while I will talk ‘til I’m blue on the face about those three things: housing expense (due to rarity); less purchasing power of salary for the young; increased starter debt to even get a stake in the game – these riots still seem different. In the days that have followed, we have seen some of the perpetrators have their five minutes – but in a magistrates dock. Like a demented child’s song, a postman, a Para and a ballerina paraded before us to face the music. No matter how hard my deju vu kicked in the other night, there is something different about his one. All riots at all times have involved looting. It’s too much to ask that there will be no opportunism at a time of even the most principle-driven protest. But here, the thieving and violence was higher in the mix. All the other riots I can recall had a political heart with a penumbra of criminality. To look at the targets of summer 2011, it seems the other way around. Is it the stuperous ennui of materialism? Is it hi-tech poverty, where people are philosophical about food inflation running at 4.9% but aspire to a gadget with seventy ring-tones and an app for rating your farts? Did a phalanx of Yahoos, bored in the commercial breaks between ‘Britain’s Got Talent’, ‘Big Brother’ and ‘X-Factor’ go out to look for pretty stones and come back with a laptop and enough iPhones to draw attention to themselves on eBay? It seems that many eyes were bigger than many bellies on that night, as numbers of large-screen TVs were found the next morning, abandoned at wheezing-distance from their originating shops. So what should we make of it? I think the first thing is to remember that summer rioting is not that uncommon, and that it takes a very small number of people to make a very large impact. I think we should also remember that it isn’t just ‘the young’: we turn a generation into an alienated, feared fifth column at our own peril. The streets were full of young volunteers on ‘womble day’, cleaning up with everybody else. Basically, I agree with those who think that there was a massive criminal component to these events, and the solution for that is normal, measured justice. No cutting off social media, no bringing in the army, no evictions for being a council tenant whose son could probably do with a very strong intervention. Now that the police are actually apparent, they appear to be doing a perfectly good job, and it’s has been pointed out by many before me that Twitter was as much a force for good as evil. But simultaneously there is a very serious political heart to our present situation and it’s getting worse. The poor are getting poorer and somebody has pulled every other rung out of the ladder upwards. Joseph Conrad’s seminal ‘Heart of Darkness’ (1899) famously inspired ‘Apocalyse Now’. Its theme was that the dark situations in the world parallel and reflect the darkness inside ourselves. Ideally then, we’ll address both the gripping anomie of those who think it’s OK to break a shop window for designer T-shirts, and those who have been disinherited of any real agency in their own lives. Because the next time English cities riot, we may be facing both riot-shoppers and a more traditional crowd - people with deep and genuine grievances who are at the end of their tethers. They would be a formidable combination. If your browser is having difficulty with embedding, just go here, and come back afterwards. 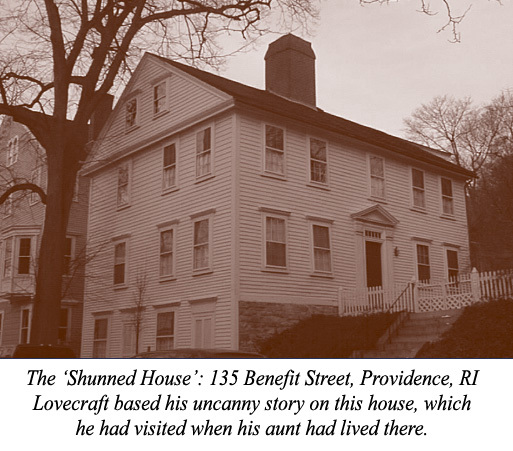 So here is a series of historical events, and a title: ‘The Vampires of Rhode Island’. We should probably start by covering the ‘vampire’ part. The contemporaries and friends of Mercy Brown, Sarah Tillinghast and the other unfortunate victims never referred to them as vampires: the term has been retroactively applied (perhaps first in 1979 in a local newspaper article) and applied from 'above' (by the writer of 'The Vampire Tradition' and Geroge Stetson - see below for both). Not all supernatural draining creatures are called vampires by the communities which experience them, but we moderns like the word and apply it pretty indiscriminately. But it’s not irrelevant or inappropriate – although many of the contemporary locals find it annoying. The original vampire of folklore came from central and eastern Europe. It came to the attention of the west at the beginning of the eighteenth century, but The Austrian Empire had expanded that era. This means the multiple reports may be understood as bemused westerners observing and reporting upon a folk practice that was probably already well-established within its own locale. The two most oft-repeated vampire accounts are of Arnod Paole and Peter Plogojowitz, both from Serbia in vampire heartland. 1 The ‘vampire’ is a person who has died suddenly, or violently, or of a ‘draining’ disease. 3 This bit of folklore was transmitted to New England some time around the eighteenth century, and was employed in desperate times. The first point hits near the mark. Unnatural Predators do preoccupy people who are in extreme difficulty. But the ‘human constant’ theme that arises is the scapegoat. Digging up the dead is a little too specific a meme. Unfortunately, we sometimes blame the living too. Bookmark this site for 'Witch-Hunts', planned for the future. The second thought is clearly wrong: if digging up the dead was common across Europe, why were the Austrians so repelled by it that they took to writing aghast official documents about Arnod Paole and Peter Plojogowitz? We have records of the most bizarre folk rituals, from throwing toad bones for divination, to marching lines of cattle between bonfires. Here is a fun book, full of them. It is unlikely that this could have passed so completely under the radar for so long. Lovecraft called his character ‘Roulet’ after a man who had been tried and convicted of werewolfism in 1598 in Caude, France. That would mean there was about a century between the arrival of the Hugenots in Rhode Island, and the first ‘vampire’ – Rachel Harris. It’s feasible that the folkore passed from the immigrant community to the locals in that time. To be sure that they were the real vectors, it would be nice to know how and why the Hugenots had taken up an eastern European tradition with such gusto, and whether there are other examples of it in Hugenot communities. If there's no trace of such a thing, there may be a third, as yet unidentified, community which is responsible: the whole subject could do with more research. So, moving on from the ‘v’ word, we are left wondering why these occurrences happened where and when they did. If the meme had been transmitted to New England by some means, why didn’t it happen everywhere and at all times? Let’s look at four things: the first is the history of the area, the use of its land and resources. This part of New England was very prosperous in the late sixteen and seventeen hundreds. The soil is rocky but fertile, and decades of hard labour by slaves, indentured men, tenant farmers and independent locals, so called ‘Swamp Yankees’, led to the stones being pulled from the earth to create the miles of dry stone walls which are still everywhere. To an English traveller, this makes the region seem quite un-American and frankly more evocative of the stony parts of England like Yorkshire, Derbyshire and Cornwall. The population of the area peaked in the late 1700s. But after that, the young and vigorous left for better prospects elsewhere, either in the towns and cities, or in the expanding territories to the west. The region referred to, where agriculture is in a depressed condition and abandoned farms are numerous … Farm houses deserted and ruinous are frequent, and the once productive lands, neglected and overgrown with scrubby oak, speak forcefully and mournfully of the migration of the youthful farmers from country to town. 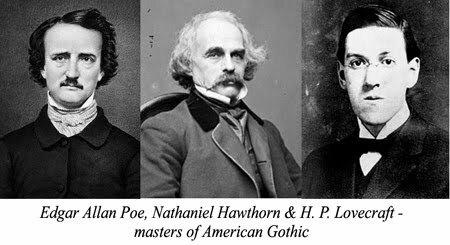 So by the 1800s, parts of New England embodied the depressed and darkly haunted environment described by the American Gothic Romantics like Nathaniel Hawthorne, Edgar Allen Poe and H P Lovecraft. Secondly, there is the specific nature of religiosity in the area. This isn’t Puritan heartland – that’s further north. Rhode Island was characterised by a more frontier, independent religious quality, self-authoring and authorising. Among the sectarians and free-thinkers, the Quakers and the Shakers, there was a spiritual life in which folk-practice coexisted with recognisable, conventional religion. The independent Rhode Islanders felt free to turn to ancient beliefs, not regarding them as incompatible with either science or religion. This independent form of living is apparent in the numerous family burial plots, such as that of the Tillinghasts, rather than central town graveyards. That may also mean that there were a great many more exhumations than we know about, as they could have been done free from outside scrutiny. T hirdly, there’s the issue of epidemic death, specifically death from tuberculosis. The tuberculosis bacillus was discovered by Robert Koch in 1882. It was, and is, a disease that associated with poverty, and the poor, cramped conditions of industrialisation. There were no significant medical interventions ‘til the widespread use antibiotics in the 1940s, but by then the disease had already started to decline through improving social circumstances and routine pasteurising of milk, one method of transmission. Even now, it’s not a simple disease to cure or eliminate. Because of the long, slow draining death process, consumption appears as a central theme with many folkloric Unnatural Predators, including fairies and the vampires of Eastern and central Europe. Just like many other places at this time, New England was becoming industrial and encountering new public health problems such as TB. Even those who lived rural lives were probably living at close quarters with their family and livestock. They may also have been relatively poor and malnourished. The fourth issue here is that the bodies had not decayed as one would have thought. They appeared to show signs of ‘life-in-afterlife’. However, knowledge about the massive variability of post-mortem changes is a modern luxury. You and I can Google the effects of temperature, soil pH and micro-organisms upon decomposition. But nineteenth century people buried their dead quickly for the very good reason that they were a source of contagion. As odd as it seems, liquid blood at the mouth and in the viscera are not as exceptional in corpses as you might think. The relationship between the folkore of the undead and post-mortem processes are covered in this excellent book by Paul Barber. In the particular case of Mercy Brown, as we have seen, she could even have been stored semi-frozen in a crypt. People aren’t daft, but they do get desperate. I think it would be unfair to think of the participants of these rituals as gullible yokels. George Brown was apparently unconvinced that the exhumations would work, but was persuaded to try it by neighbours. See p21 here. He can’t have been the only New Englander to reluctantly submit to the last resort. Rest in Peace, Mercy Brown. But what lends the grave such lusture? O'er her cheeks what such beauty shed? The living was food for the dead! Karl Derrick. Makeup effects supervisor, successful author and screenwriter. Also cameraman and enthusiastic supporter of Jourdemayne. Arnie Koch is an awesome New York based techie-bod, logistics guy & pizza homing device. This would have been very hard without him. John Rael is an LA based actor, director and skeptic. Have a look at some of his hilarious podcasts. 'Reversion' by Stone Idols is an ambient album by Rob Jenkins, Martin Smith & Neil Cowley. It’s my very favourite music to write to. Please support the music by downloading it here. 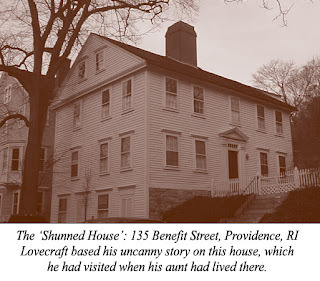 For more background on the Rhode Island Vampires, I recommend this by folklorist Michael Bell. I LOVE this book about the differerent waves of immigration onto north America, and the cultures that accompanied them. A facsimilie of George Stetson's classic essay from The American Anthropologist is available on the 'net here. It's always worth reading Montague Summers for the purple prose and utterly confabulated extras. He covers the Rhode Island vampires in this book. Two news stories have caught my attention this week. 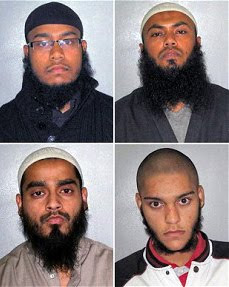 In one, four men were jailed for an attack on Tower Hamlets religious studies teacher Gary Smith. There are news reports here and here. And a statement on The Met’s website here. It was horrific. Mr Smith’s face was deliberately slashed from his mouth corner to his ear. He suffered leg wounds, a fractured skull, bleeding on the brain, a shattered jaw and was unconscious for two days. It must be harder than I realise to get an attempted murder charge to stick. Akmol Hussein, 27, Sheikh Rashid, 27, Azad Hussain, 26, and Simon Alam, 19 were sentenced for causing grievous bodily harm with intent. Fortunately, Hussein’s car had been bugged in an investigation into a suspected terrorist network. Unfortunately, the police didn’t get any information prior to the assault. Gary Smith had invoked the gang’s ire by teaching Islam, along with other major world religions, in national curriculum lessons. "…he's mocking Islam and he's putting doubts in people's minds…How can somebody take a job to teach Islam when they're not even a Muslim themselves?" "Praise to Allah. At that time nobody was there...Bruv, I don’t care about prison as long as I’m doing it for the deen [religion] of Allah...you know what, he's not going to get up"
“You believed there was a higher authority to which you were responsible and that authority dictated you must attack Mr Smith"
I was equally fascinated by the case of Lorraine Mbulawa, who had stabbed her mother four times in the arm and once in the face at their home in May 2009. There'a an account here. "… that seemed a bit real. It was my grandma and dad's youngest sister, Charlotte. Like they were right at the foot of my bed … my grandmother said my mother was responsible for the death of my father and I had to do the honourable thing to my father by killing my mother"
She had put on some dark clothes, gloves and a makeshift balaclava, and gone into her mother’s room with the intention of killing her. Mbulawa was cleared of attempted murder but found guilty of unlawful wounding at Leicester Crown Court in February as reported by the local paper on February 5th. "In convicting Lorraine of unlawful wounding the jury must be treated as having rejected her claim of being in a dissociative state. The jury treated Lorraine as if she knew what she was doing at the time of the attack"
In addition, she had been assessed by a psychiatrist who had found her to be sound. The sentences handed down in these two cases are markedly differerent. Of Gary Smith’s attackers, three will serve at least five years and maybe more; the fourth will serve a minimum of four years, maybe more. The details are at the bottom of the page here. Lorraine Mbulawa has presumably been on some sort of remand (I don’t know if it was custodial) since May 2009, as her contact with her mother has been supervised and she is only now allowed to return to the family home to live. She has been given a 12 month custodial sentence suspended for 18 months. She must also do 120 hours of unpaid work and attend supervision to help her understand her beliefs so she could deal with any supernaturally inspired violent urges in the future. These contrasting sentences may be attributable to several factors. For one, the victim impact statements each both case will have been very differerent. Gary Smith’s injuries were more severe and he may never completely recover. He is unlikely to be sympathetic to his assailants’ world-view or motivation. 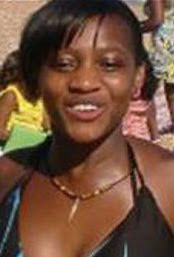 Sibusisiwe Mbulawa, by comparison, had lesser injuries and feels she understands her daughter’s behaviour completely. Another is the likelihood of perpetrating again in the future: Gary Smith’s assailants were united by a life-principle that would be likely to lead to further violence and which will be highly difficult to erase. The judge clearly feels that Lorraine Mbulawa, by contrast, can be taught to deal with her worldview in a way that will reduce her chances of perpetrating in the future. Remorse will have been another factor. It’s hard to see how the Tower Hamlets four could have plausibly pleaded moral anguish after their celebratory conversation was recorded. Mbulawa, on the other hand, told police of her intention to kill herself after she had killed her mother. “… since she knew what she was doing she should have fought against what she was told to do"
Acting under duress – compulsion from outside – is a defence in law. But the law restricts itself to agents such as blackmailers, people who have kidnapped your granny and so forth. Spirits don’t count, and that’s fine by me. She is young, pretty, was an A-level student and, unlike the Tower Hamlets four is not the embodiment of a current much-feared archetype, the regressive jihadist. Yet for all their differences, these two crimes have one very significant theme at their hearts: people who were judged by the courts to be mentally competent were motivated to potentially murderous acts under the influence of utterly unprovable supernatural worldviews. I spent an interesting afternoon once with a senior police officer who deals with occult-related killings. His interest in the precise nature of beliefs was limited: his focus was on whether or not an actual crime had been committed. For that, I think he deserved great professional credit: like Elizabeth I, he had: “no desire to make windows into men's souls”. But clearly, thought processes do matter – and to the courts too. Psychological evaluations that assess culpability and fitness to stand trials must make windows into men's souls. To a certain extent, we can determine culpability and the likelihood of re-offending using those windows. We choose the parameters of our rationality, and those parameters move from time to time. If we commit a crime under a popular delusion, we are more likely to be judged sane. With a social animal like us, it’s actually quite reasonable: the sharing of a doctrine, a cognitive concensus, is certainly a measure of our integration with our community, if not our grasp of objective physics. A person motivated to murder for Ereshkigal would be ancient Iraq’s religious fanatic, today’s whackjob. Perhaps this is another area where Mbulawa gets off as being mad rather than bad in the UK. 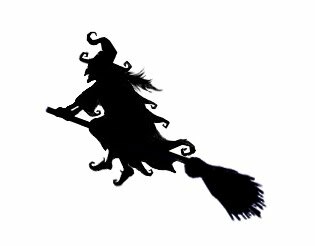 We’re more familiar with jihadism, but the witchcraft paradigm has been under the radar ‘til recently. "Her mother has expressed a belief in the power of spirits common in the culture of Zimbabwe … had it happened there, her daughter would have been treated by a medicine man and would have been exorcised"
So - here are a handful of modern perpetrators who have acted under the influence of bizarre, unprovable tenets. 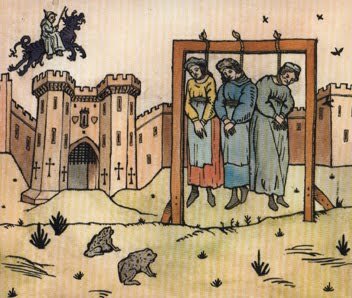 If you look to history, they’re not short of company: witch-hunters, inquisitors and crusaders abound. Few of them were, by the standards of the own times, mad. It would be wrong, and in any case impossible, to legislate for anti-social supernatural beliefs. But given the potential for harm, we can reasonably stop these beliefs being monetised. The prospect of revenue creates a motivation for promotion. I suggested that payment for deliverance from witchcraft should be illegal here. And the law already has provision for actual violence, inspired by a variety of motives, rational and irrational. Meanwhile, we are left with cases that leave us horrified ... and bemused. Newspapers had already covered the study’s progress. You can see “Children are born believers in God” from The Telegraph’s religion section here and “Why do we believe in God? £2m study prays for answer” from The Times here. Dr Barrett had been quoted as saying that they were: “… interested in exploring exactly in what sense belief in God is natural”. And it would be strange, I suppose, if such a thing as belief in the supernatural was not natural, given how widespread it is. It’s a thought many have pondered: why do we as a species come up with these ideas, again and again. The father of psychology William James wrote about a quality he called ‘religious genius’. For James those others who follow on from these primary agents have what he called a ‘second-hand religious life’. He seems to have regarded it as a form of intellectual contagion from a concentrated source. However, the prevailing theories about religiosity have changed since James’ day. Charismatic individuals certainly have shaped some of the specifics of our notions about the supernatural, but a spontaneous sense of it seems to be more evenly distributed among the population than he thought. There are a couple of ideas about how we’ve become a supernatural-seeking species. The first is that belief in a transcendent power confers an advantage upon a group. This would make religiosity a primary quality for survival by, for example, enhancing commitment to the group. One of the most notable poularisers of this theory was the father of sociobiology E O Wilson who said: “Men would rather believe than know”. But there are several detractors to this theory, people who don’t believe that group selection is anywhere near as important a factor in survival as has been claimed. Which would leave the ‘God as an Adaptive Trait’ theory looking a bit wan. The second – and probably more currently popular - way of looking at the issue is to see superstition and religion as byproducts of evolution. 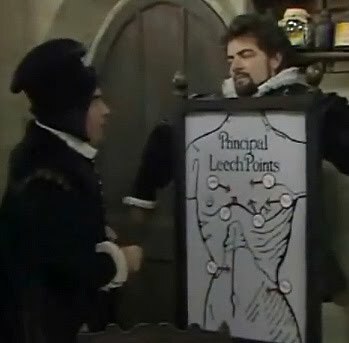 Paleontologist Stephen Jay Gould and population geneticist Richard Lewontin co-opted the architectural term 'spandrel' to define something which didn’t originate by the direct action of natural selection but which later became usefully employed for a different function. So is god somehow a side-effect of our cognitive machinery, an accompaniment to evolution? David Hume wrote that: “We find human faces in the moon, armies in the clouds; and by a natural propensity, if not corrected by experience and reflection, ascribe malice and goodwill to everything, that hurts or pleases us”. Taking indistinct stimuli from the environment and making them into something recognisable is a phenonmenon know as pareidolia; it’s how the Virgin Mary gets onto so many pieces of toast. Either that, or she’s got a really good agent. Hume was pointing out what many others have noticed before and since – we see things that aren’t there and then often ascribe personalities and intentions to them. Dr Barrett’s term for this kind of thing is a hyperactive (or hypersensitive) agency detection device” a HADD. So, we can realise there are other things in the universe and that they have intentions that may differ from ours. To read someone else’s mind, you need a thing called theory of mind. You can imagine how useful this is: it helps us to predict what others are going to do and want. It helps us to understand that they have a theory of mind about us in turn. The issue with these agent-detection and prediction abilities is that they’re very hard to turn off. A false positive is probably not often dangerous – whoever got hurt for mistaking tree bark for a face? But a false negative is dangerous – how often do you get to ignore a hungry tiger? Another way in which we get to see a world of our own making is to have a preference for purpose-based explanations. Psychologist Dr. Deborah Keleman of the Child Cognition Lab at Boston University is the expert here. Her work on children showed they had preferences for what she called teleo-functional explanations. Why is polar bear fur white? So the bear can blend in with the snow (rather than because it lacks pigment). What’s more, she found that children displayed what she called promiscuous teleology – that is applying to purpose-based explanations to both living and natural-but-inanimate things alike. So do we naturally grow out of this kind of reasoning, or do the physics lessons at school have an effect after all? Keleman’s work on uneducated adults among the Romanian Roma showed that giving up purpose-based explanations as we grow, is a cultural phenonomenon, not a natural event. Left to our own devices, we’d probably all be adult animists, searching for motivations of seen and unseen agents in our environments. 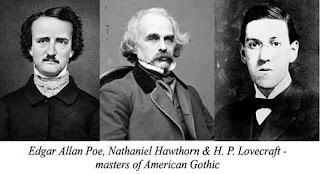 I’ve noticed this a great deal in my study of the folklore of the macabre. People really aren’t stupid. They know that events have proximal causes. It’s the search for meaning which helps to create the agent. The anthropologist E. E. Evans-Pritchard spent a great deal of time with a central African tribe, the Azande. One day, a house collapsed on someone; villagers knew that termites had undermined house but that wasn’t the question. Why had it happened when that particular person was sitting there? They weren’t answering the question "how?". They were answering the question "why?". I've covered the kind of encumberances these two very different questions have here. It reminds me of medieval Europeans who felt leprosy to be a disease associated with moral degeneracy. You could probably have proved the existence of disease-causing micro-organisms to our ancestors, but it may not have stopped them asking why. Why now? Why him? Why here? This is hardly even a start on the factors which predispose us to intuit the supernatural. If you’re interested in more you could do a lot worse than buy Bruce Hood’s ‘Supersense’. So if a sense of the supernatural is a side-effect of our biology, will ghosts and gods, phantoms and fairies always be with us? Dr Barrett, a Christian himself, was quoted as saying that "If we threw a handful on an island and they raised themselves I think they would believe in God." But I think this is going far too far. For one thing, that term 'god' rather than 'gods' – monotheism is the exception rather than the rule in religion. And perhaps our island-bound handful would have day to day interactions with ancestors rather than gods, in the manner of traditional African religion. I think it would be fairer to say that they would likely end up with a supernatural model of their environment, as well as a natural one.